The goal of the Veteran’s Outreach Program is to prepare and educate incarcerated Veterans with skills to seek employment, health benefits and counseling. 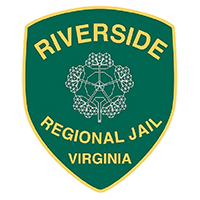 This program is offered to incarcerated individuals who have been verified as a Veteran by Riverside Regional Jail Authority Staff and scheduled for release within a two-year time frame. A group of trained professionals from the Veterans Outreach Service, Freedom Support Center, and many other organizations entered the facility to conduct initial assessment procedures on eligible Veterans. This assessment is the first step in helping the inmate begin the process of rebuilding his/her life. The Veterans Program is a three-phase process. Phase I deals with pre-release procedures including assessments, preparation for release and classroom training. Phase II consists of guiding the Veteran towards self-efficiency through gainful unsubsidized employment and education. Also, in Phase II the Veteran is taught how to develop life skills to be successful upon release. In Phase III, the Veteran is taught how to develop a group of contacts for support from which to draw strength and encouragement. The Veterans Outreach Service, Petersburg Freedom Support Center, Southern Living Residential Recovery Center and other local support groups would set a positive foundation for the incarcerated Veterans. This is a vital piece for the Veterans successful reentry process back in the community. 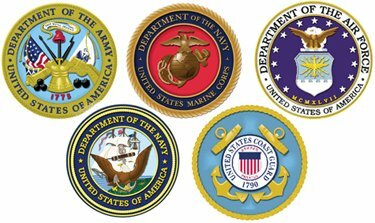 The goal of this program is to place the selected Veterans in the same Pod to assist them with returning to the military discipline they once knew and also to develop camaraderie of helping and supporting each other. The Veteran can learn and participate in the services available while incarcerated as a Veteran before and after they are released. While incarcerated at Riverside Regional Jail Authority, the Veteran can receive care for Post-Traumatic Stress Disorder (PTSD), training in Cognitive Thinking, Vet-Mission Training and also take classes to prepare them for employment and the stress of returning to civilian life.